Here at North Eugene Family Dental, we receive a lot of questions about the type of food to eat for a healthy smile. That is why we put together this post of worst habits for your your teeth. Even if you don’t diet, there are many foods that you can eat, that can improve your oral health. The best diet to consider for long-term health success is foods that help you feel better. If you diet often it could be bad for your teeth because dieters tend to yo-yo with food habits. You could consume a lot of sugar than go on a diet. This extreme is difficult for your teeth and overall health. Raspberries, chocolate and blueberries are known to stain your teeth. But berries can help you balance your coordination. Blueberries can help you feel better and you can put them in smoothies or sprinkle them in your cereal for an added bonus. Research proves that coffee can help you improve your brain function. So this is good news for all you coffee lovers; A study that was recently done in Europe showed that men who drink coffee daily show an improvement in memory from those that did not drink any coffee. But coffee can stain your teeth especially if you drink it regularly. As people age, their teeth will turn yellow or brown. Visit your dentist for teeth whitening opportunities or you can use an over-the-counter method that is sold at the pharmacy. Whitening your teeth is a great way to build your confidence and prevent more damage from foods and beverages. Brush your teeth and floss daily to take care of your teeth. It is important especially for long-term health. When you brush your teeth and floss every day you will feel better and be healthier. 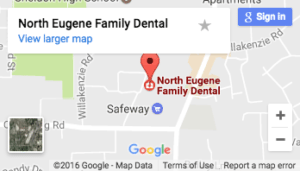 If you have any questions on brushing please ask your family dentist in Eugene, OR Dr. Kirt Kirchmeier. Does Using Mouthwash Harm Your Oral Health?